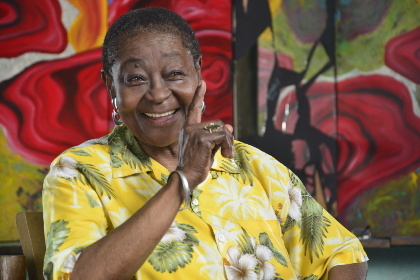 Now in her 77th year and as forward as ever, Calypso Rose can look back at over 60 years of making people happy. 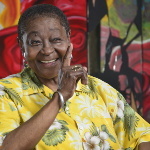 Born in Tobago, she grew up in Trinidad, where she fell in love with calypso, despite the disapproval of her Baptist minister father. She wrote her first song aged 15. A decade later she shook up the male-dominated world of calypso, winning the Calypso King title – reluctantly retitled Calypso Monarch – at the 1978 carnival.